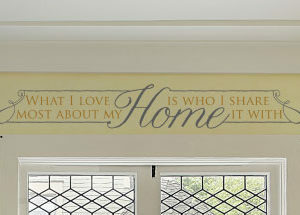 ‘What I love most about my HOME is who I share it with’ is a quote that really warms your heart. It instantly creates an inviting atmosphere that encourages all guests to calm down and enjoy the visit. 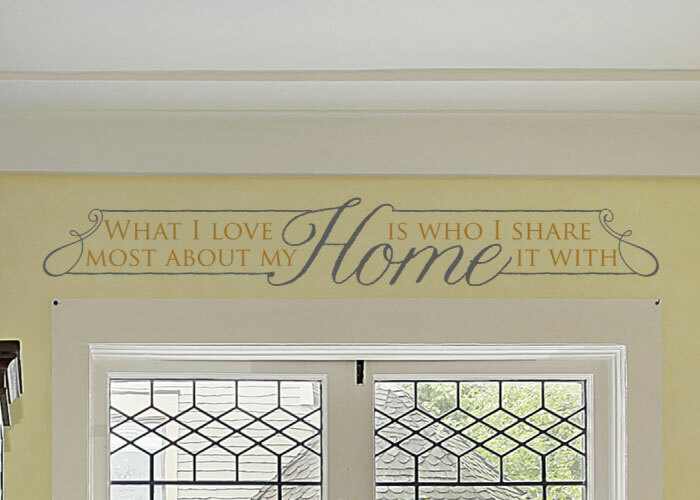 For the family, this quote reminds them that this is home, a place to enjoy togetherness. In this photo, we applied wall lettering from DecorativeLettering in the foyer. The baby yellow underlying wall was the perfect backdrop for it. They go very well with the timber floors, cushions, white molding on the window and the blue-white carpet along the stairs. The fresh flowers brighten the room and match with the wall words. 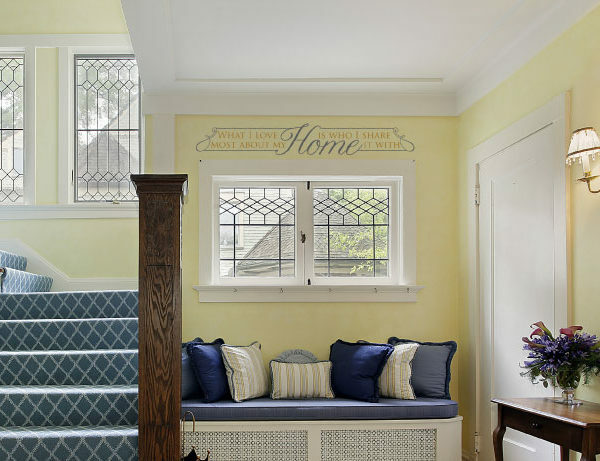 This foyer will put all at ease because the wall quotes encourage that frame of mind. 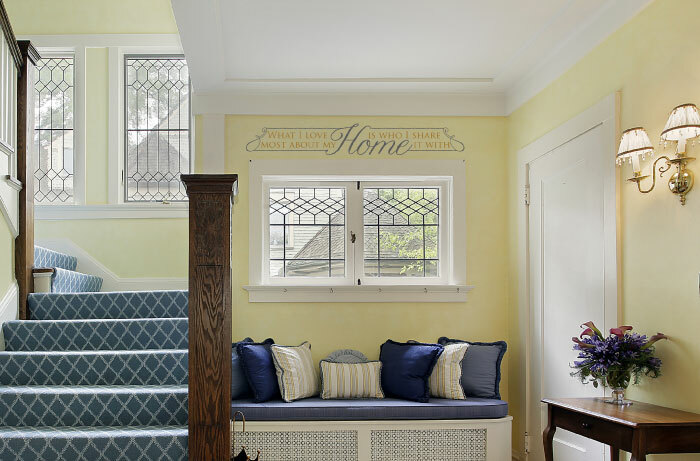 Wall quotes from DecorativeLettering are easy to apply. It is not a long process but once up, you will enjoy them for years to come. Removing them is just as easy. Light is essential in the foyers, therefore, our wall letters are matte so that you can see and read them with no problems at all. 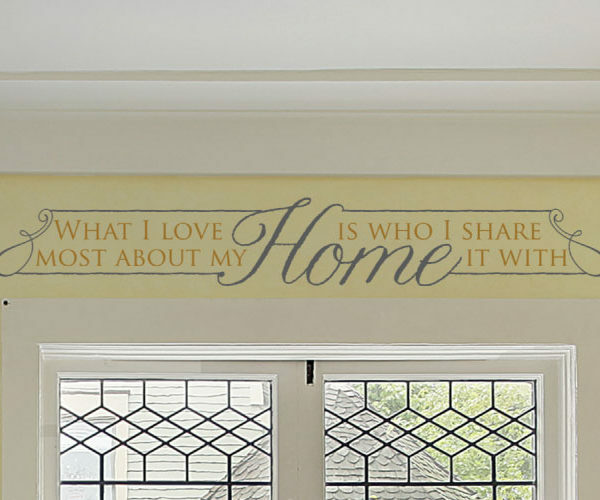 If you are looking to create a welcoming atmosphere in your foyer for your family and friends, try DecorativeLettering products. They come in all types of styles, sizes, and colors. They are able to withstand extreme temperatures: winter lows and summer highs will not affect them. We would love to make your foyer a haven so get in touch: we look forward to hearing from you!